It must be almost thirty years ago since I saw The April Fools, a wonderful film starring the late Jack Lemmon and Catherine Deneuve. For some reason I, far from a fan of the cinematic love story was completely taken with it. The fact that Catherine Deneuve starred in it would, no doubt have been a major contributing factor but there was something else. 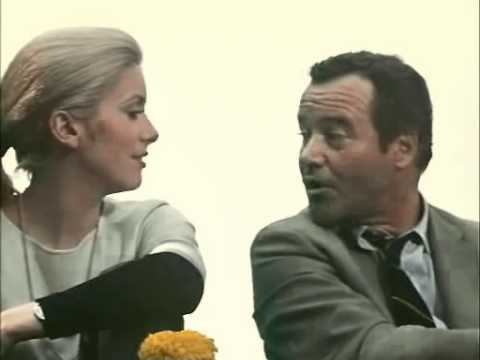 Jack Lemmon pretty much played Jack Lemmon as we would believe him to be like and Deneuve was the epitome of French beauty and grace. Filmed in 1969 it stars Lemmon as Howard Brubaker, a man stuck in a loveless marriage who unwittingly meets the beautiful Catherine (Deneuve) a trophy wife who no longer loves her husband….Brubaker’s boss. The courtship commences and they decide to run away to Paris and it isn’t until they reach the airport that Brubaker discovers who his lover’s husband is. The comedy is gentle and harmless, Lemmon is brilliant as Lemmon but then that’s what we loved about him. Lemmon always seemed to play the archetypal over-worked and under-loved American with a crappy middle management position, skew-whiff tie and a penchant for making a fool of himself. Brubaker is way out of his league with Catherine but his, and the film’s charm allows it to work. Deneuve, as in all of her films of the period radiates a beauty and presence to forgive any irks about dialogue and the supporting cast are quite brilliant. Is it a classic? No, and it is near impossible to get on European dvd (bootlegs aside) but it is a perfect representation of the era and the genre. It is a rainy day kind of movie, both funny and sad and I miss the memory of watching it.